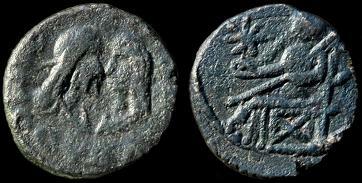 Sauromates I. 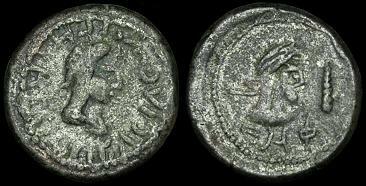 117-123 AD (9-th series) Æ 48 Units. 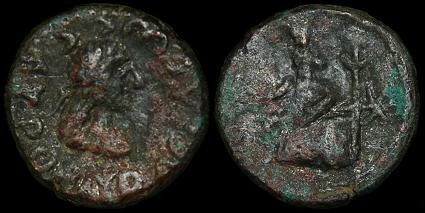 26mm, 9.30g. 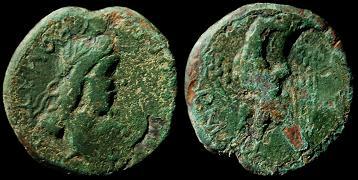 Sauromates I. 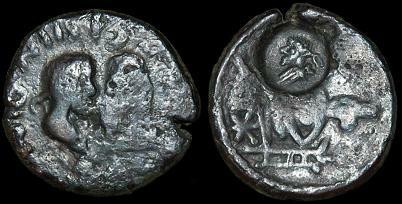 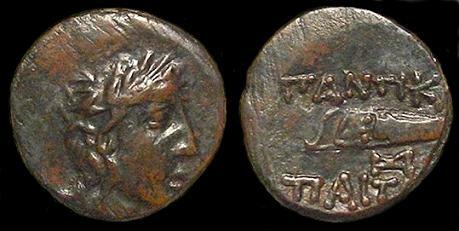 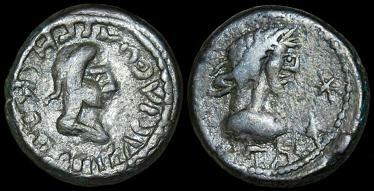 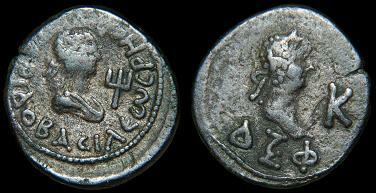 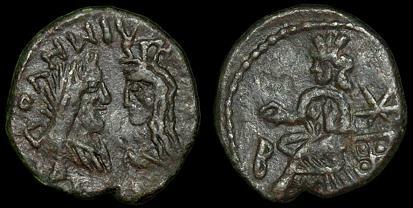 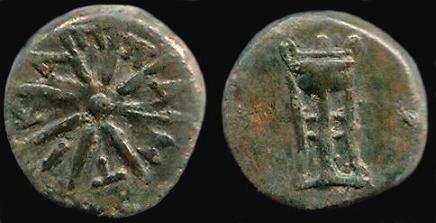 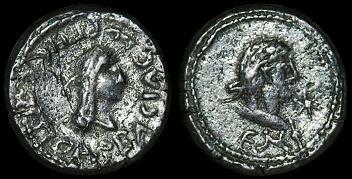 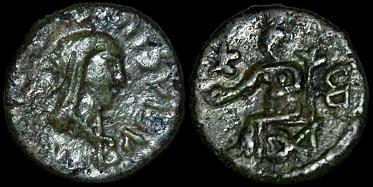 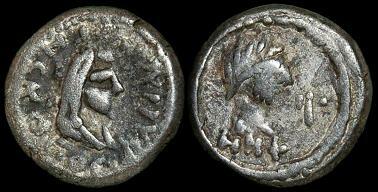 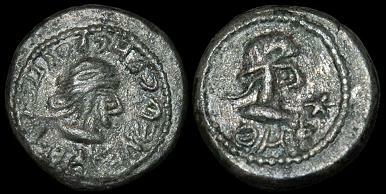 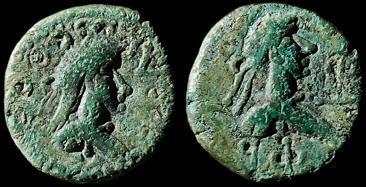 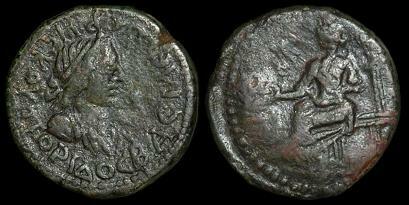 117-123 AD (11-th series). 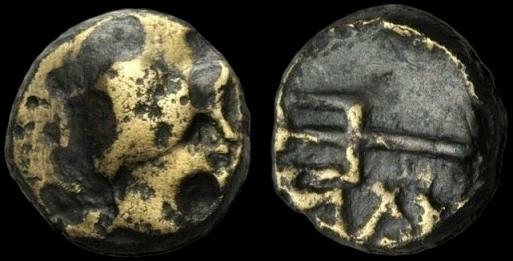 Æ 48 Units. 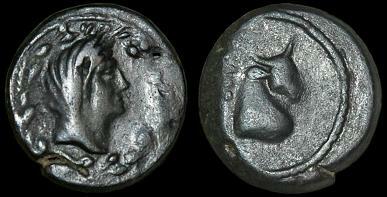 24mm, 10.68g. 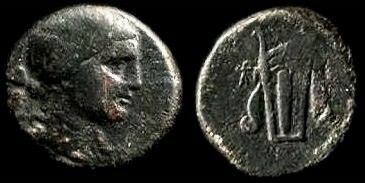 ΘOΘωPCOY, bust of king right. 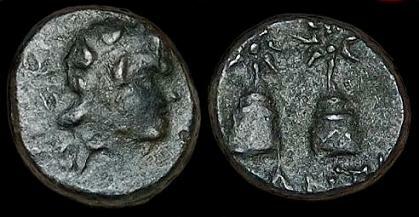 Rev: ςПФ (289/290), bust of emperor right, monogram. 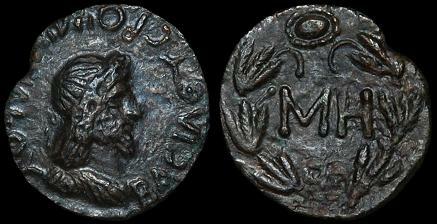 Ref: MacDonald 638,Unlisted variant? 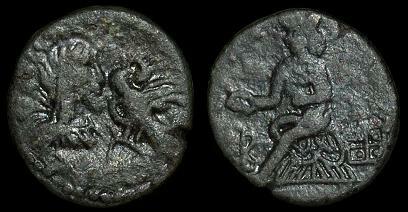 Sauromates I. 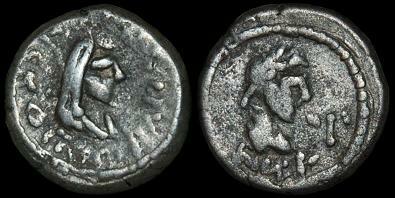 104-117 AD (5-th series). 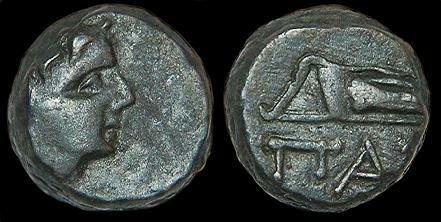 Æ 48 Units. 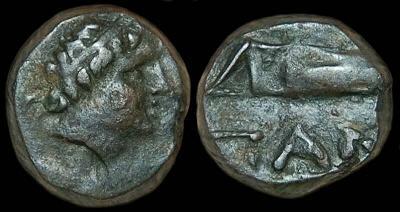 24mm, 10.2g. 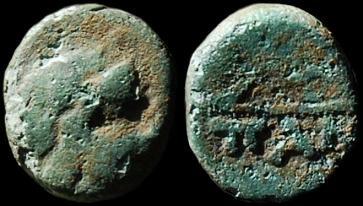 Sauromates I. 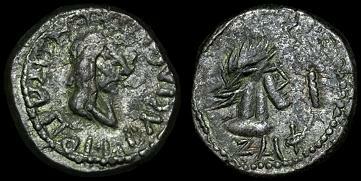 104-117 AD (5-th series). 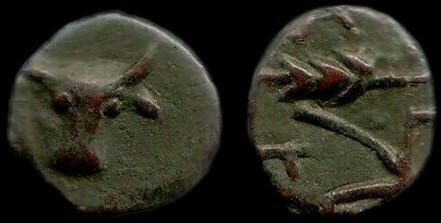 Æ 48 Units. 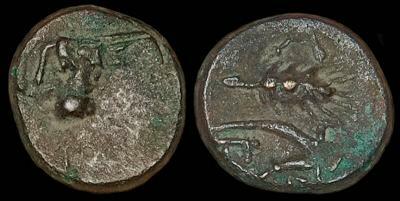 26mm, 9.10g. 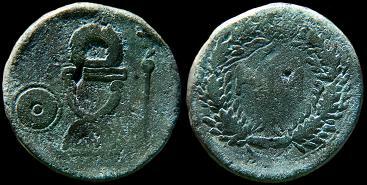 Sauromates I. 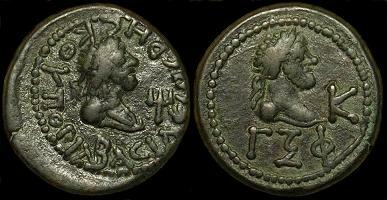 104-117 AD (5-th series). 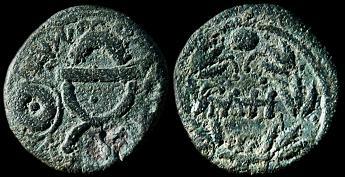 Æ 48 Units. 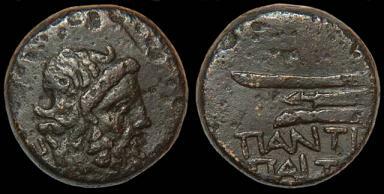 26mm, 6.71g. 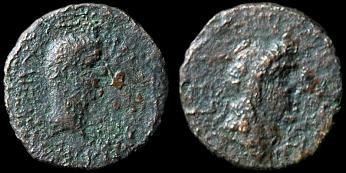 Cotys II. 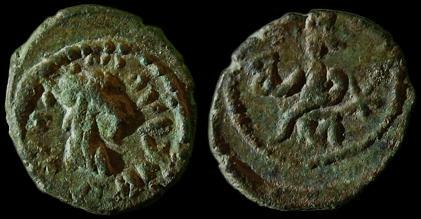 123-132 AD. 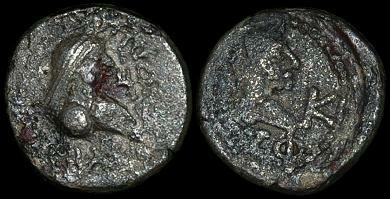 Æ 48 Units 26mm, 10.50g. 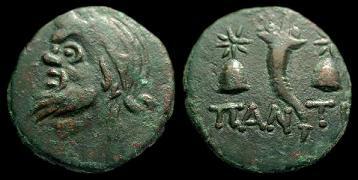 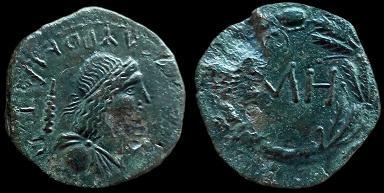 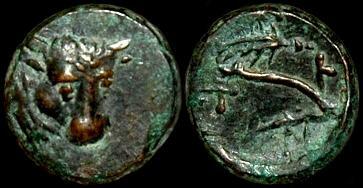 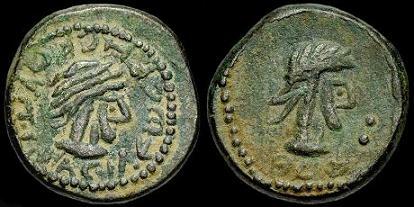 Obv: BACIΛЄωC KOTYOC, wreath on curule chair, scepter tripped with bust of Roman emperor right, shield and spear left. 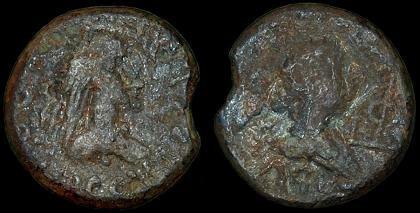 Rev: MH within wreathbelow. 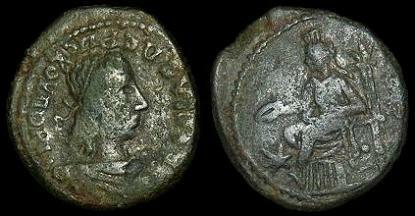 Rheskuporis IV. 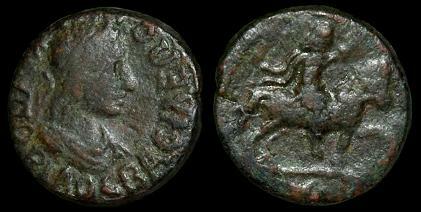 242-276 (2-nd series) AD. 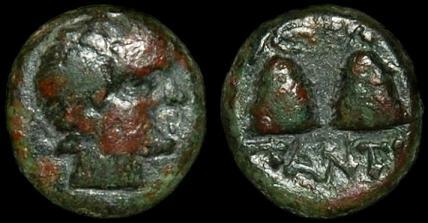 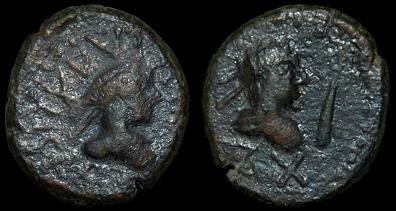 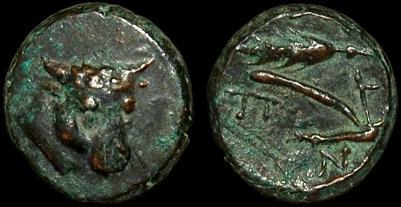 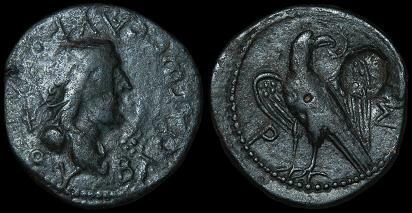 Æ 2 Denarii 19mm, 3.66g. 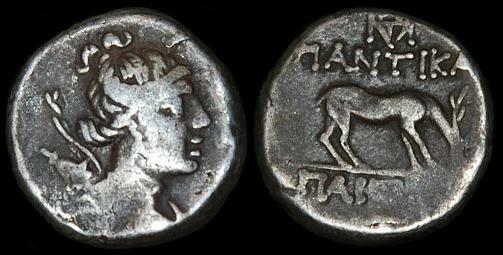 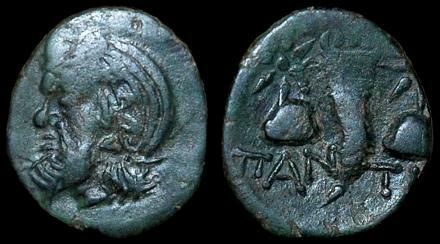 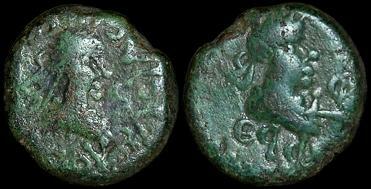 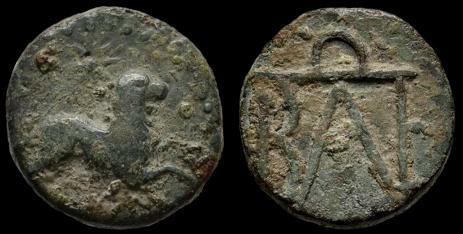 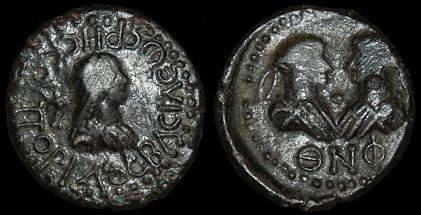 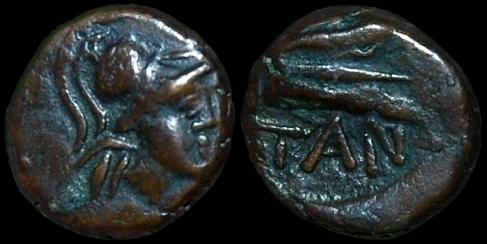 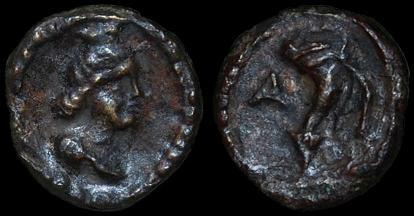 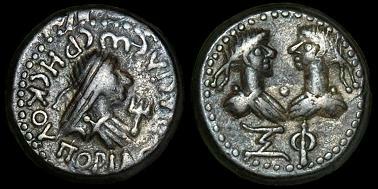 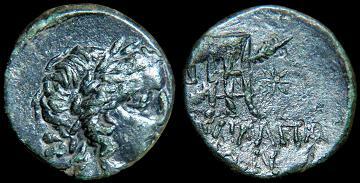 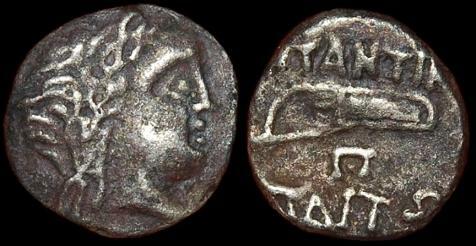 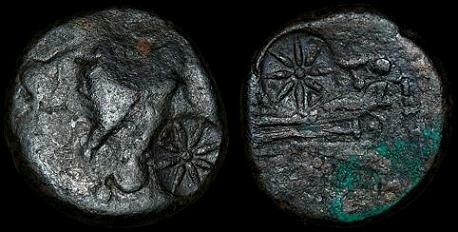 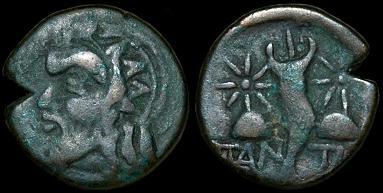 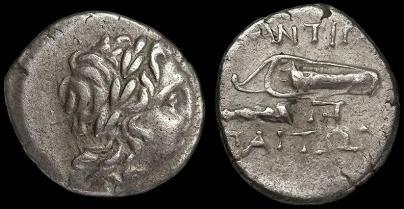 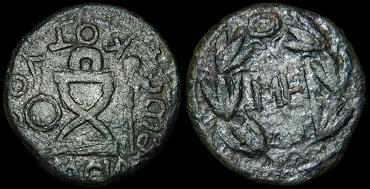 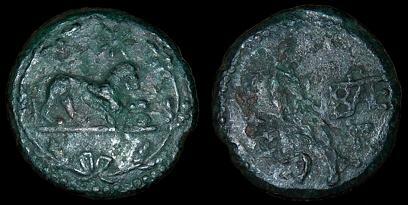 Pantikapaion (under Asander, minted in his name). 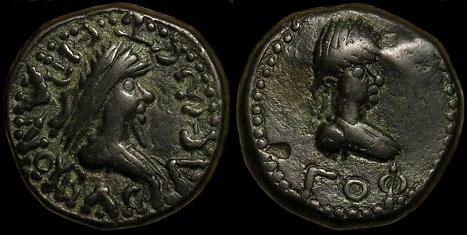 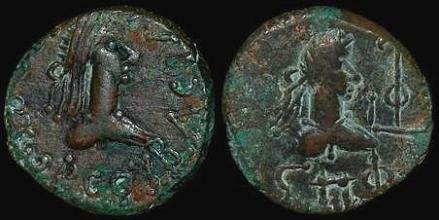 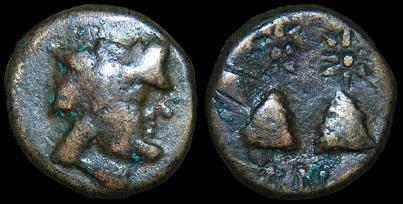 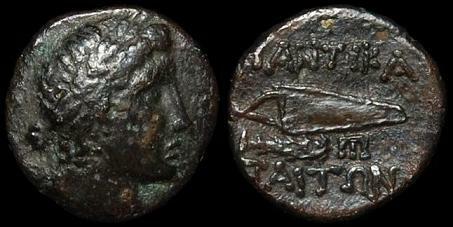 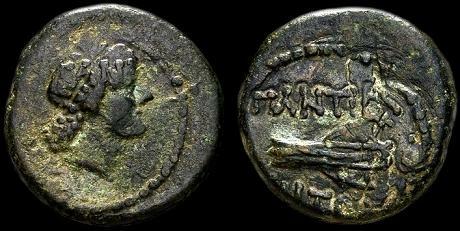 50-47 BC. 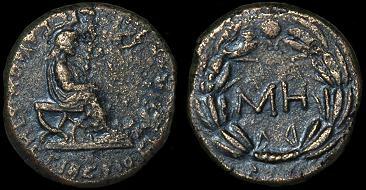 Ininthimeus. 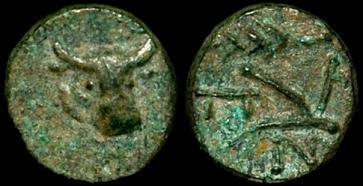 234/235-238/239 AD. 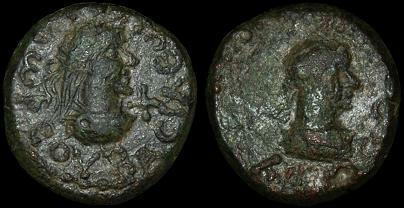 Æ Two Denarii 20mm, 8.00g. 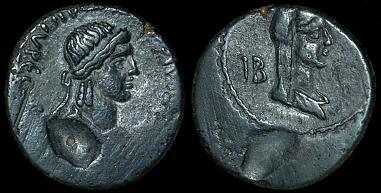 Obv: BACIΛЄωC ININΘIMЄOY, bust of king right, draped, wearing diadem, vis-a-vis bust of Aphrodite Apatura left, draped, wearing head veil and calathos. 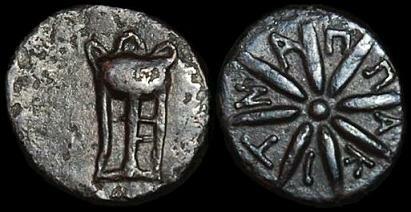 Cotys I. 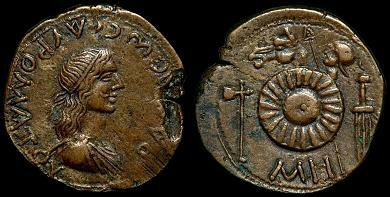 49 AD (Claudian issues). 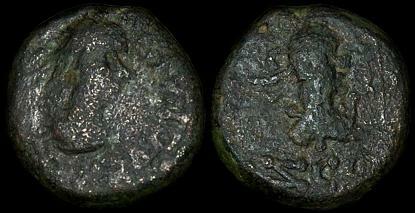 Æ 12 Units. 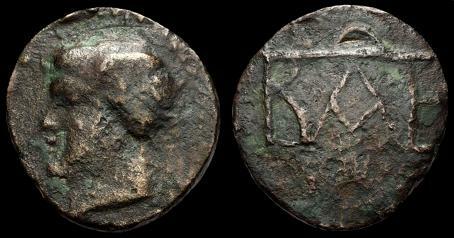 24mm, 9.29g. 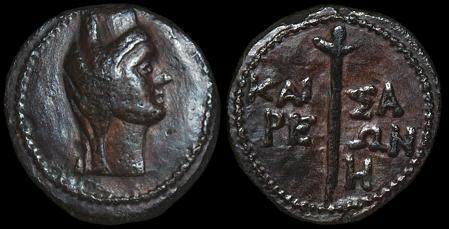 Obv: IB TI KLAVΔIOV KAICAPOC, laureate head of Claudius right. 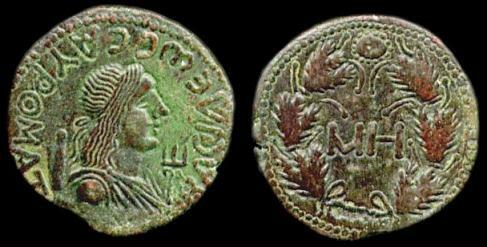 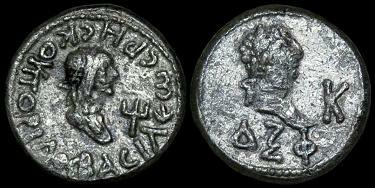 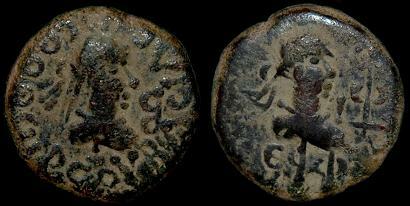 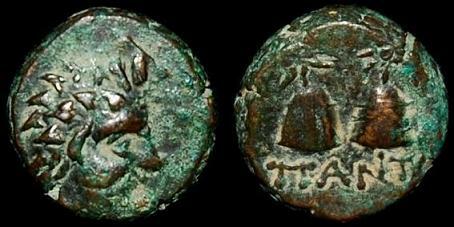 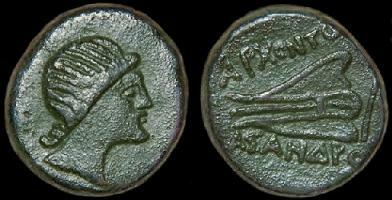 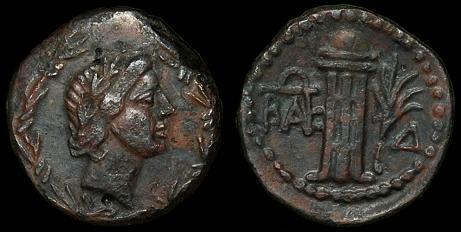 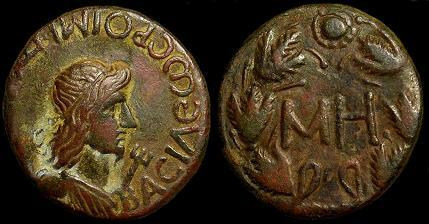 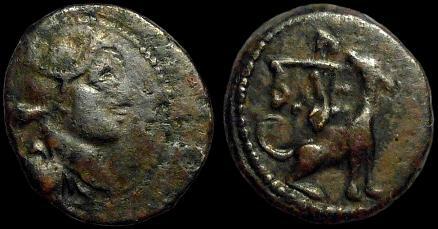 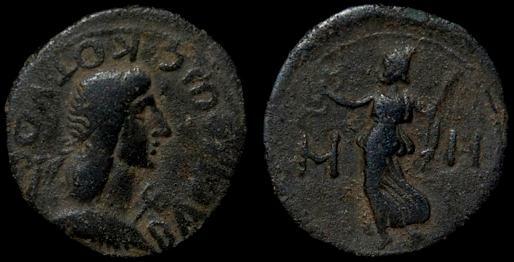 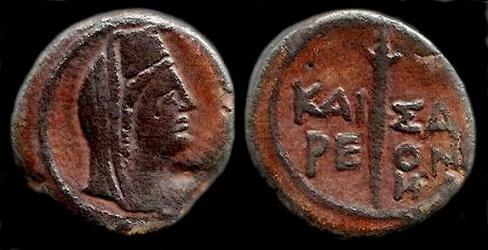 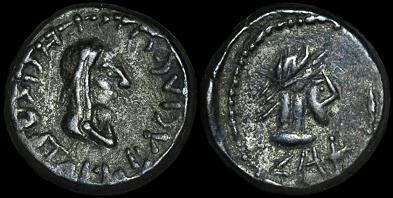 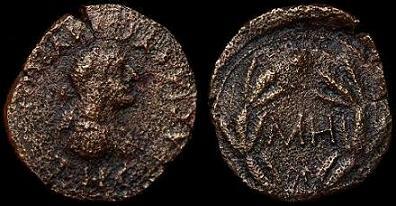 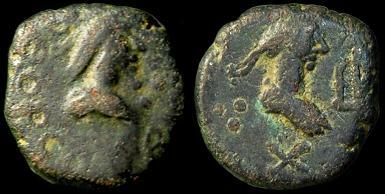 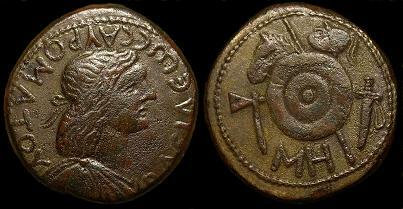 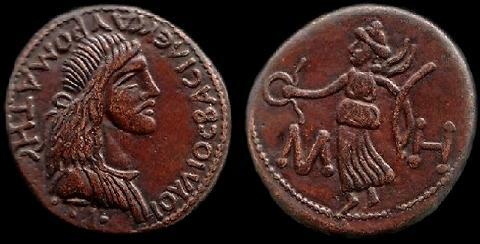 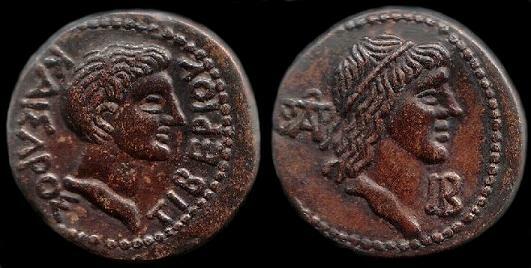 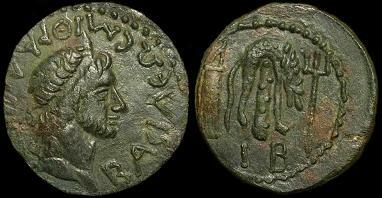 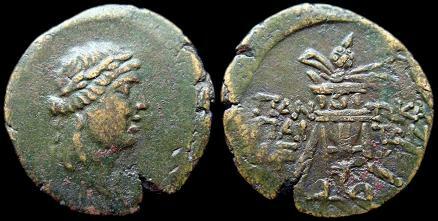 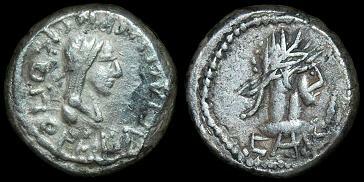 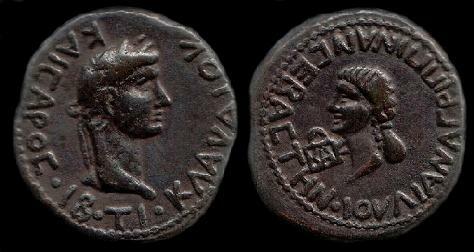 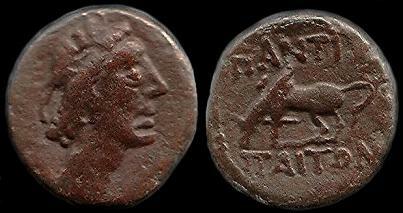 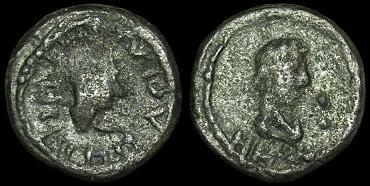 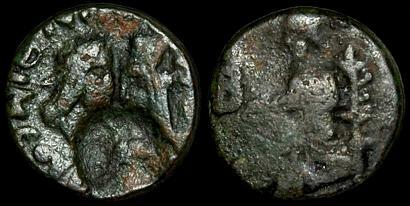 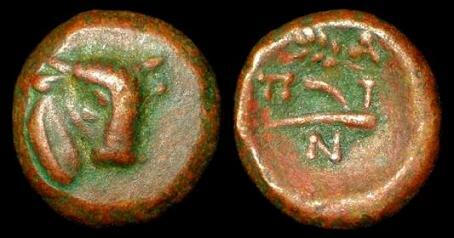 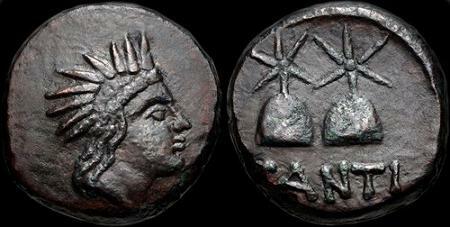 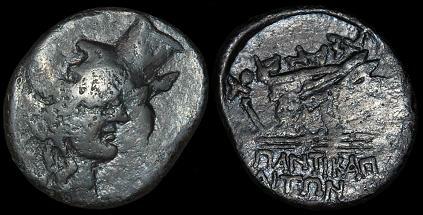 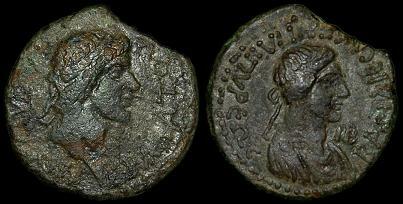 Rev: IOVΛIAN AΓPIППINAN KAICAPOC, monogram, bust of Agrippina II left, draped.